Tournament season is upon us and if you’re planning on getting into tournament fishing your plans need to be extensive to even consider placing in the top ten, let alone win. Tournament fishing is not for everyone. It’s extremely competitive, maybe even considered cutthroat (no pun intended). 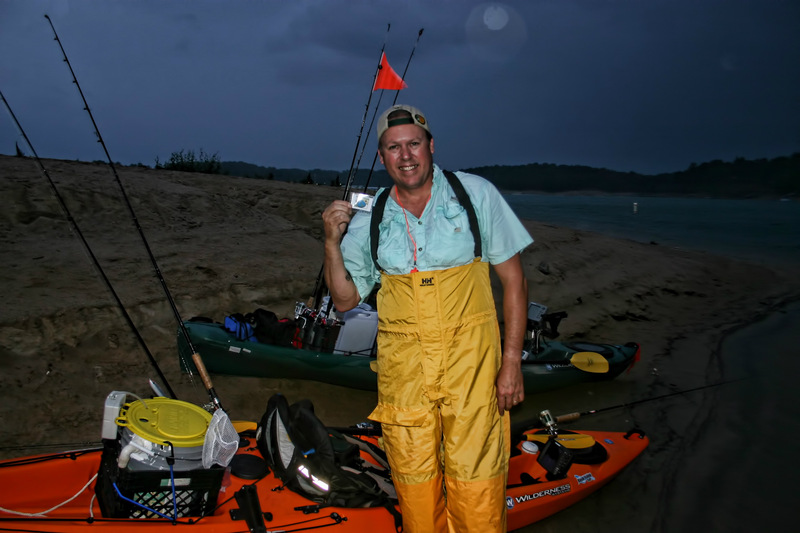 Bill Sikora with a 6th place fish at the Extreme Kayak Tournament. In addition, the media has recently shed some light on the darker side to tournament angling. Most specifically highlighting the exclusivity and unwelcome divide between the novice and the advanced anglers and the cheating. But hey, that happens in all sports. As for the cheating, tournament directors are not only banning anglers they catch cheating, but also arresting them for fraud. I don’t mention this to dissuade you from fishing tournaments. I only want you to be aware of the possibility. Ignoring cheaters only perpetuates the problems. Awareness and an effort toward correcting the problem are the goals of every tournament director or committee. However, having fished both sides (boat and kayak) I will say this, the overall brotherhood in the kayak angling world makes for a far more enjoyable platform to fish live tournaments. But while we’re on the subject, lets touch on etiquette. I am going to let NRS Fishing Team member Chad Hoover, founder of the KBF, do the talking here as his “eloquence” is always appreciated. Chad’s suggestions on how to not be “That Guy” are not just for tournaments but hold true any time on the water. I enjoy tournament angling for a host of reasons. Proving to the other top anglers that you have what it takes to win brings out the competitor in even the most passive anglers. 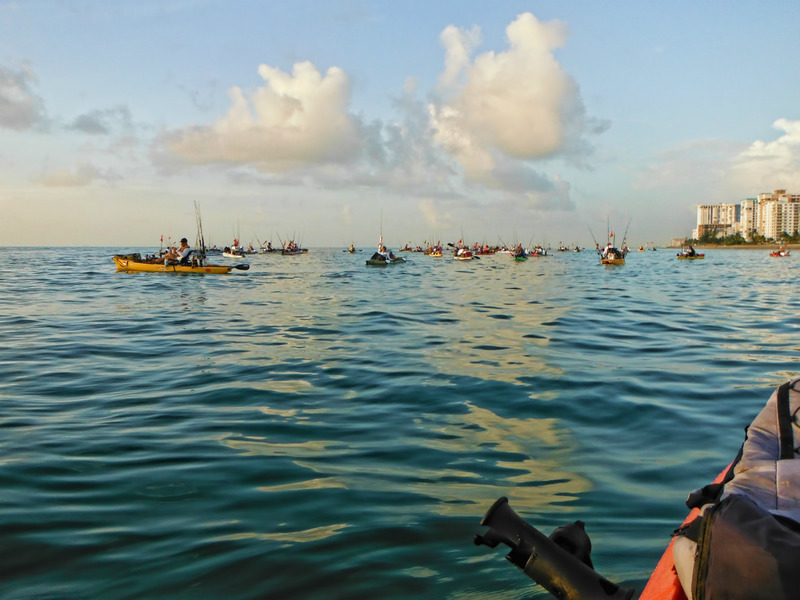 The camaraderie and celebration at day’s end remind us why we fish in the first place. But to me, overcoming the unexpected challenges of tournament fishing pushes me to evolve into a better angler, and that’s the best part. My first tournaments were local B.A.S.S. events in central Florida during my early teens. From 2001-2003, I fished under Captain Ron Mitchel of Team Bandit in the Southern Kingfish Association. The first kayak tournament I entered was on Lake Lanier for striper in 2008. I’m not a tournament trail fisherman although in the SKA that was the case. 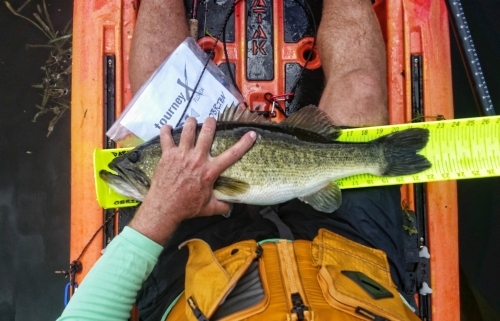 Today, I fish three-four tournaments a year, some of those being online tournaments through Kayak Bass Fishing (KBF) Tourney X.
I base my tournament selection on three key criteria: location, format, and how it’s run. 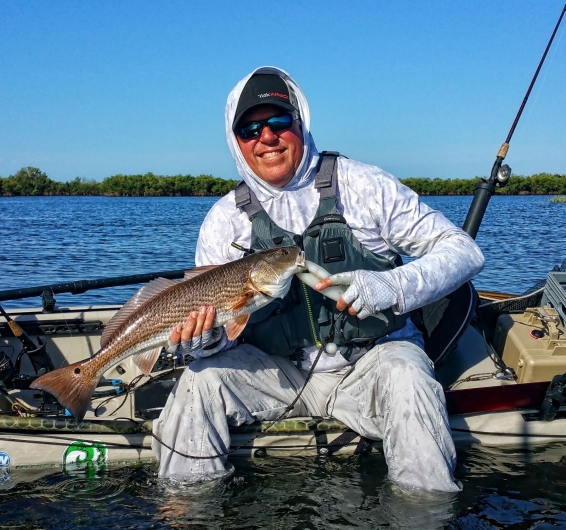 My personal favorites are the Extreme Kayak Fishing out of Pompano, Florida put on by Joe Hector and the Inshore Extreme Challenge out of Jacksonville, Florida hosted by Tony Hart. 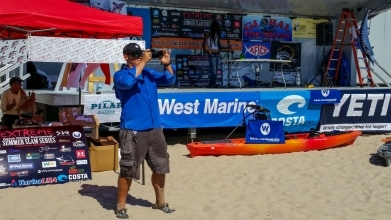 Launching at the Extreme Kayak Fishing Tournament. The online Tourney X events are a more laid-back approach to tournament angling. These month-long fishing competitions allow you to compete on your time and are one of the ways to qualify for the KBF Championship. They even have an app, so you can log your catches directly from your phone. Kayak Wars is another online event based on a team concept that lasts for almost the entire year. It allows for both salt and freshwater multi-species (just about anything that has fins) entries with team totals in overall inches deciding the winners. It’s a unique and fun tournament. The online tournaments are a great way to work out your growing pains. With a 30-day (or longer) window of opportunities available, mistakes can be overcome. 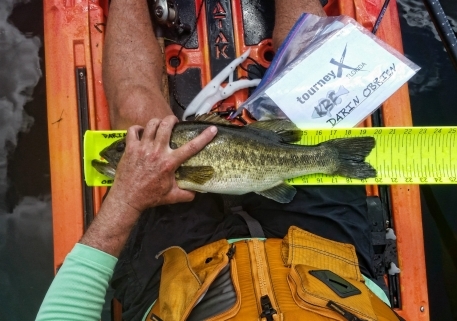 I felt these pains personally by having three fish disqualified (rightfully so) because the fish grips were still in the bass’s mouth while on the measuring board, which was against the rules. I didn’t pay enough attention to the fine print, and it cost me first place, as all three measured more than 20 inches. But because I had the 30 days, I recovered and landed in third place. Catch One: Back-to-back catch for Tourney X. Catch Two: Back-to-back catch for Tourney X. As an angler, you can control the where and how of a tournament, but you can’t control the weather. It has the ultimate impact—for better or worse—in any tournament whether you’re paddling a kayak or motoring a boat. If you’re a fair-weather fisher person only, you need not apply! You must be willing and more importantly able to—forgive my cliché—weather the storm, literally. The outer fringes of Hurricane Hanna blew through the Carolinas’ coasts during my first kayak tournament. Although we were fishing on Georgia’s Lake Lanier, we still endured heavy rains and wind throughout the tournament. I paddled my Tarpon 120 at the time and by the end of the day, even in a protected cove, I fought 30mph winds. Every other wave within the three-foot chop broke over the bow and hit me in the chest. Several anglers who chose to fish down by the dam flipped requiring rescue boats to recover both the anglers and yaks. Luckily, the tournament recorded no injuries. But it gave us a lesson in humility and reminded us to know your limit, your skills and be prepared for the unpredictable. Darin’s first kayak fishing tournament launch on Lake Lanier. 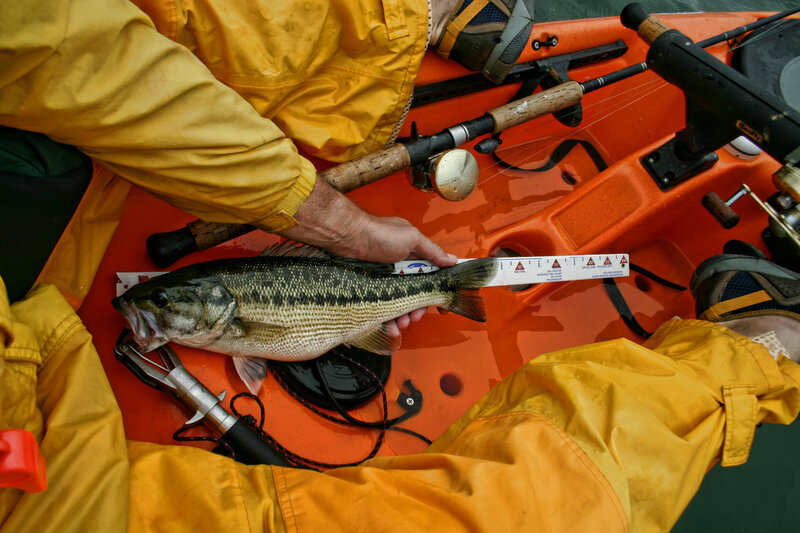 Success in any kayak fishing tournament also requires a little (or a lot of) research. Studying the area is even more critical when fishing unfamiliar water. The more time you spend doing this, the better your odds are. If you have the time, I recommend pre-fishing the waters for as long you can. The ideal in most cases is three-five days of pre-fishing to dial you in. A perfect example of this was the 2018 KBF Championship held on Kentucky Lake in Tennessee. 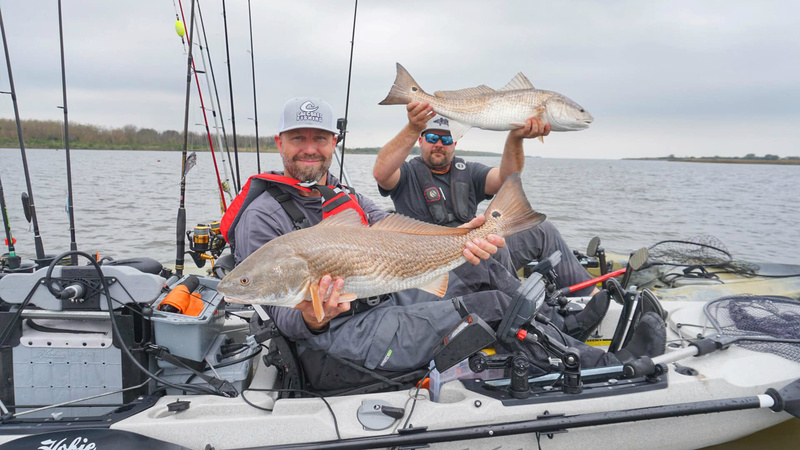 With 750 anglers battling for the largest kayak tournament payout in history ($100,000.00) those that put the time in during super tough winter conditions did the best. Familiarizing yourself with the waters will not only tip you off to where the fish spend the most time, it will also give you a chance to scope out backup locations. In case you skimmed over the previous paragraphs, weather can hold the key to a successful tournament outcome. And we all know, the weather can change in an instant. It’s safe to say, you will need backup locations if (and when) the weather turns. The more you fish an area, the more accustomed you become to common weather patterns, which will help in making these decisions. Another part of your research is to work out your logistics: truck and trailer parking, launch/ take-out point, and shuttle if you choose to put on and take out at different areas. Last year I ran into this problem during pre-fishing for the Inshore Extreme Challenge. On my one and only day available for pre-fishing I spent the first two hours at the launch site trying to get my truck unstuck. Tourney day is definitely not the time you want to be shoveling sand with your paddle instead of water. For tackle, bring what you need and then throw in what you don’t think you’ll need. You may not put it all on your yak but having it and not needing it is better than not having it and needing it. On a normal day of fishing I typically carry three-four rods. During a tournament, I double that number. The number of lures really doesn’t change but I have all of them setup to eliminate re-tying/rigging as much as possible. Plus, should you have any equipment failures you’re not out of the game. As for techniques, trying new lures and presentations on tournament day is a definite no. Use what you know best and have the most confidence in and experience with, it will pay off in the end. Should you need to try something new, do it during pre-fishing and only use it if it’s working for you. Make sure you fully understand all the rules for the tournament. Carry a copy with you if needed as a quick reference. As stated before, forgetting to remove the fish grips before measuring (if required) or pinching the tail can and will get your fish disqualified. As we know, simple little mistakes like this can cost you the show. And need I say, it’s no fun knowing you “had” a first-place finish. 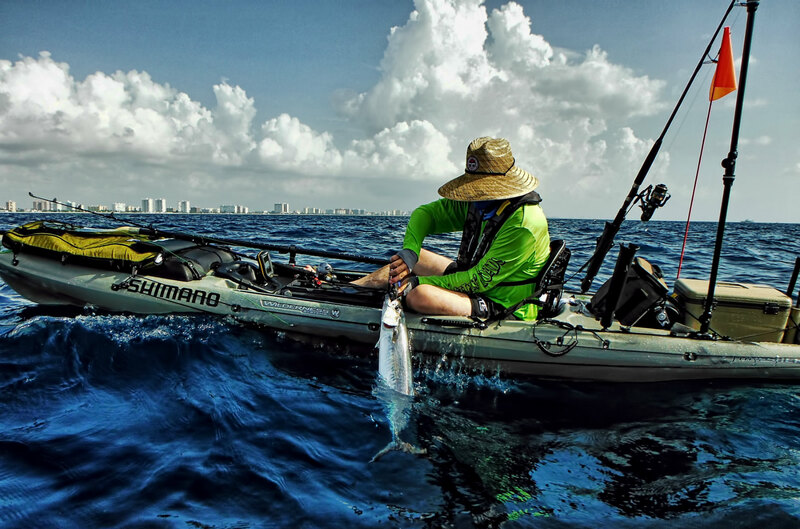 The Extreme Kayak Fishing Summer Slam series is a catch-and-keep-what-is-legal tournament with a big stage set on Pompano Beach where they hold the weigh-in. They also have aid boats that will pick up your oversized catches and bring them in for you. I love catch-and-release and appreciate the DIY of KBF style tournaments, but I must admit, the stage weigh-in creates a bit more exciting atmosphere. Darin’s catch for a Tourney X Redfish event. 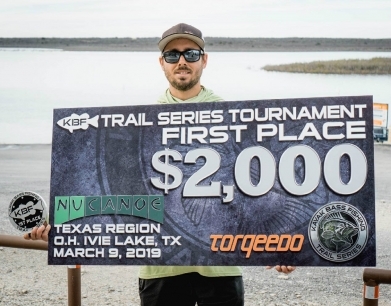 NRS Fishing Ambassador, Matthew Scotch, takes first place in the KBF Trail Series. 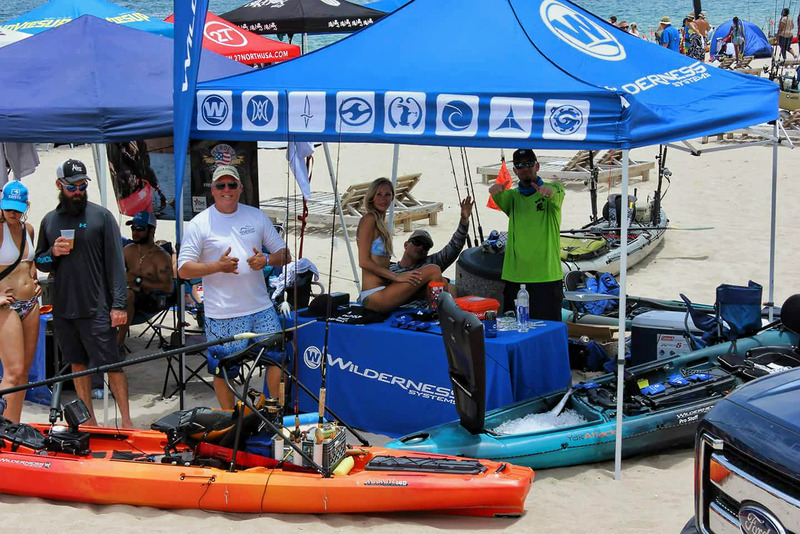 The stage at the Extreme Kayak Fishing Summer Slam Series on Pompano Beach. Finally, proper time management is absolutely crucial in tournaments. You need to know how long you can be on the water before heading back in to make it to the weigh-in on time. This is where knowing your “honest” paddling skills will maximize that time. How long your loadout will take, the drive to the weigh-in and any other factors that can and will change through the course of the day need to be accounted for. 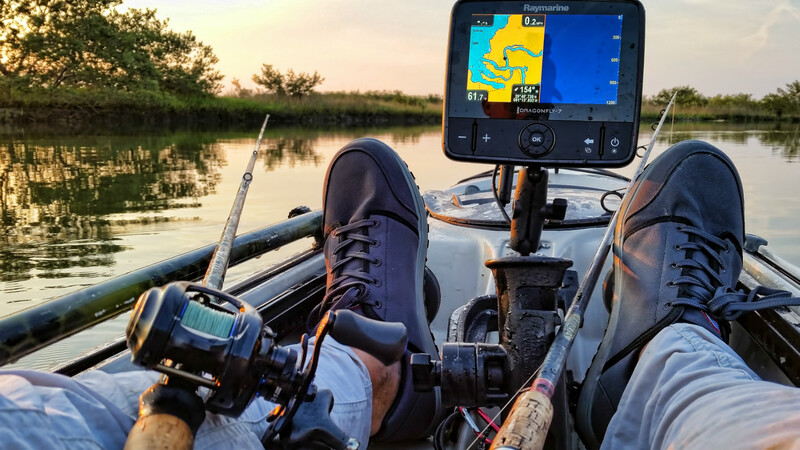 A mock run-through of your entire tourney day plan could happen during pre-fishing. Worst scenario for me on this topic was a two-fold issue while fishing the SKA. A failure to check the two-stroke oil reserve tanks led to us running out and having to shut down the boat. We had to wait for a generous competitor to bring us some oil. By the time we were back up and running we missed the weigh-in with a money fish. The education take-away: always leave some wiggle room. Don’t get discouraged in the beginning when/if you don’t place well. Like anything else, there’s a learning curve to get past and every squirrel gets a nut once in a while. Tournament angling boils down to two main ingredients: preparation and execution. Chad Hoover does an excellent job covering this topic on the rookie season. If you manage to get it all right, you can avoid the pandemonium and find yourself on the podium. So good luck out there and maybe we will compete in the future.